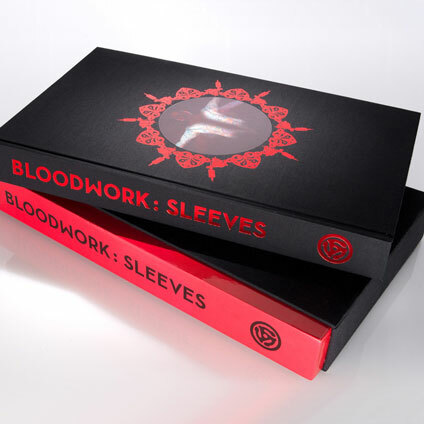 BLOODWORK:SLEEVES is a collaborative project produced by the Analog Tattoo Arts Kolectiv (ATAK). The stated goal is to document, exhibit and publish a comprehensive collection of sleeves by the WTC (World Tattoo Community: abstract concept). Tattooers & collectors from around the globe graciously contributed to this complex collective undertaking. During photo shoots on several continents (San Jose, London, Zurich, and Los Angeles) sixty-seven sleeves were extensively documented. Next the raw material was combined into three dynamic composite models: windmill, wingspan, and rotation. 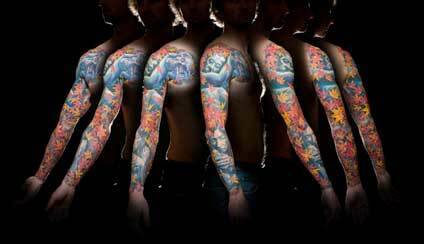 The intent of the final product is to offer a unique and singular view of the sleeve that, as of yet, has not been put forth. 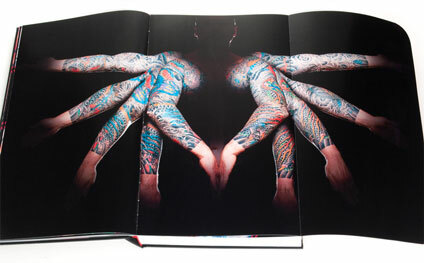 The extensive range of work within the BLOODWORK:SLEEVES photographic exhibition and publication aspires to provide a broad view of the efforts of contemporary tattooers working today. The ultimate purpose is to compile an unparalleled historical document for review by this and future generations. Limited edition of 1500 hand numbered copies. 16"H x 9.5"W (30" wide with foldout). 350 hand bound pages printed on heavy art paper. Metallic, spot matte & gloss varnishes. Clothbound w/ lenticular cover imagery. Multi layer die cut slipcase. Hand stenciled mailing case (limited). Doors open at 8 p.m.
Exhibit on view thru November 21, 2009 A.D.
Get Together with Anno Domini.